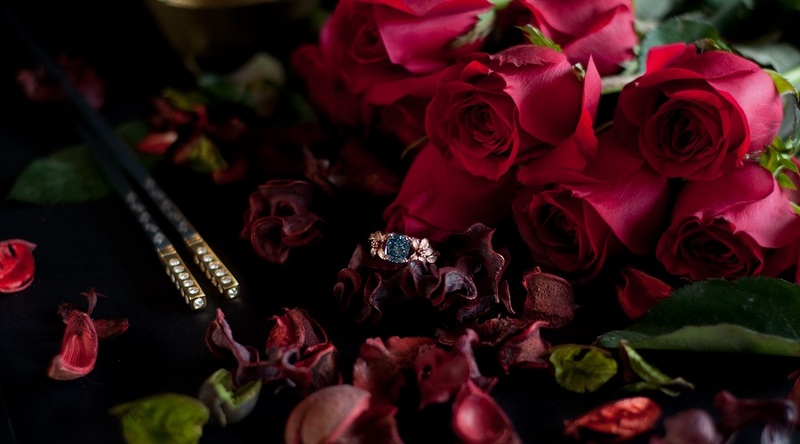 The Jane Seymour Ring with Diamond Chopsticks & Roses. Photo by World of Diamonds Group. 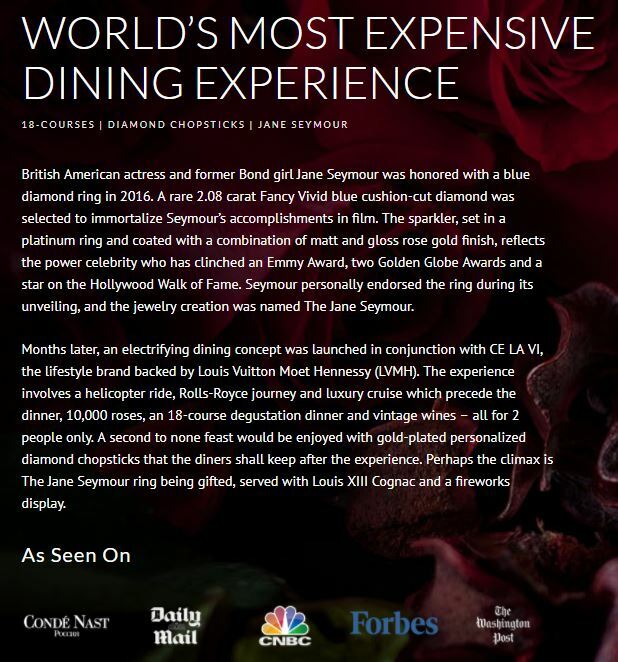 “The sale of The World’s Most Expensive Dinner by World of Diamonds Group to V Diamonds has been canceled by a mutual decision of the companies, and World of Diamonds Group remains the sole owner of the ring and the $2 Million Dinner experience. The token sale planned by V Diamonds is canceled, and all the pre-subscriptions to the token sale will be refunded back to the participants,” reads a media statement by the aforementioned firms. 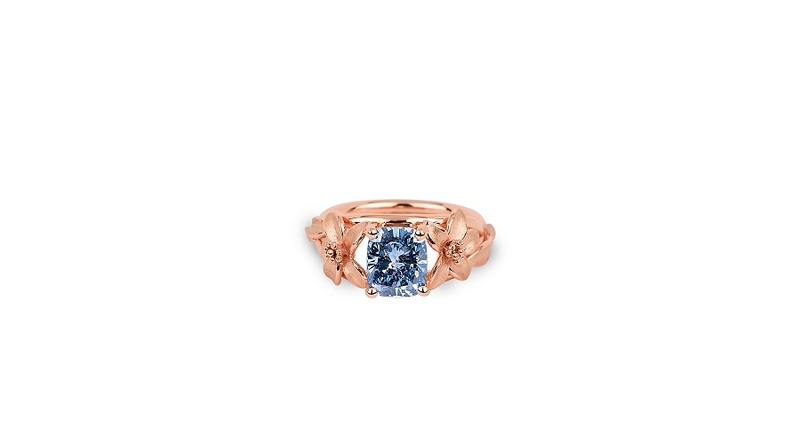 This story began back in 2016 when World of Diamonds Group launched a $2 million dinner that was accompanied with a blue diamond ring named after actress Jane Seymour and Singapore-registered V Diamonds offered to buy it. 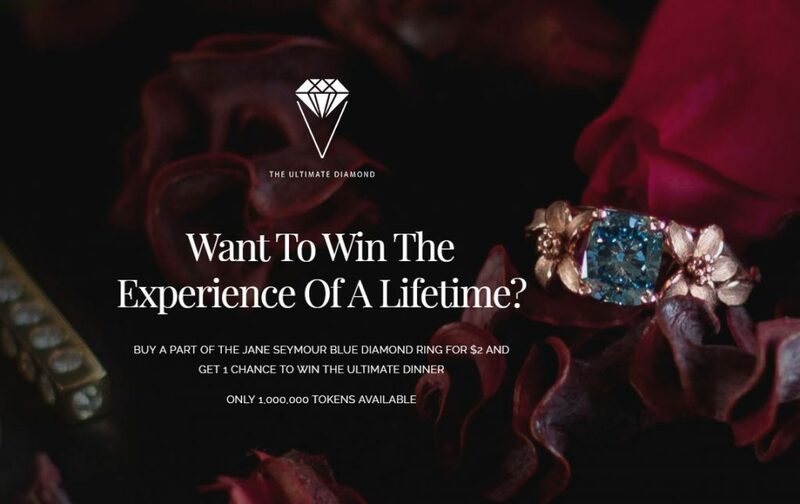 In November last year, V Diamonds began selling tokens for as little as $2 promising a one-millionth stake in the ring and the chance to win the luxurious experience. However, with very little explanation and no details on how many tokens were sold, the high-end raffle was canceled by V Diamonds. In the press release, World of Diamonds Group states that the dining promotion will be launched again, with an option to pay in cryptocurrency. Instead of a raffle, it seems that whoever is interested can now pay World of Diamonds Group directly for the $2 million meal, which would include the rare diamond ring, a four-hour private jet flight (which departs from and lands back in Singapore), $17,000 diamond chopsticks and an 18-course dinner prepared by the Michelin-starred team from Jaan, a three-hour yacht cruise, 10,000 roses, a private fireworks display, first-class tickets to and from Singapore, Rolls-Royce transfers and a three-night stay at the Presidential suite of Swissotel The Stamford. Half a million dollars from the sale would be donated to charity. “The World’s Most Expensive Dinner will now save thousands of children,” Karan Tilani, director of the World of Diamonds Group, said in the brief. “We have now committed to support 8,000 children annually in Nigeria by providing them with medical aid, food, shelter and education. These are witch-children who are victims of an African superstition which believes that children are witches when there is an unfortunate event in the family – like a death, illness or poor harvest of crops. In those cases, the children are tortured or abandoned by the families,” he explained. The Russia-based company also expects to use part of the $500,000 to provide proper medical equipment to an existing inoperative hospital. “To honor the buyer of the $2 million dinner, World of Diamonds Group will rename this hospital after him/her,” Tilani said.